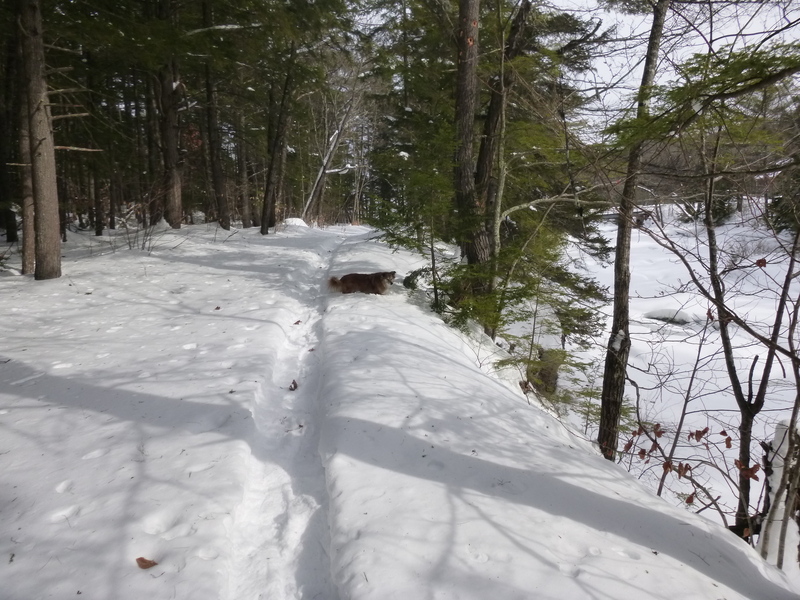 Snowshoein’ | Can I Bring the Dog? In our neighborhood, this endless parade of snowstorms have only dropped about six or eight inches per storm. Six or eight inches of lovely, dry, powdery, department store Christmas window snow. The skiers are thrilled, and I’m enjoying it on snowshoe. One of my neighbors and I have been working on breaking the path along one of the Conservation Commission trails by the Bearcamp River. 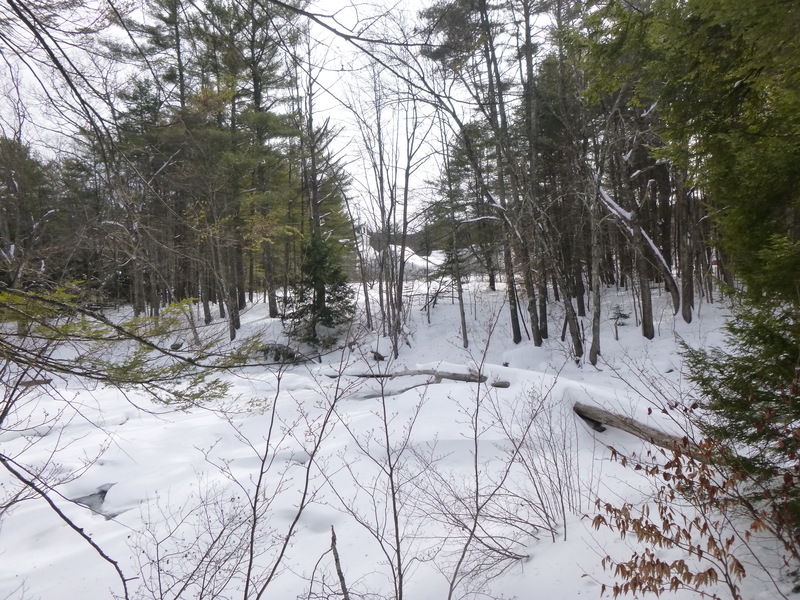 Snowshoeing makes me use my newly-activated glutes rather more than I do when I walk (my coach will be pleased to hear that) and I admit to being a bit of a wimp, so I’m only breaking a quarter mile of new trail at a time. The start of the trail is right along the river. Looking back toward the start of the trail. To the right is a little bit of the bridge over the Bearcamp that is used to get to my house. Something was going on at the base of that little tree. The trail goes behind South Tamworth village. You can just barely see the bell tower of the church behind the trees. 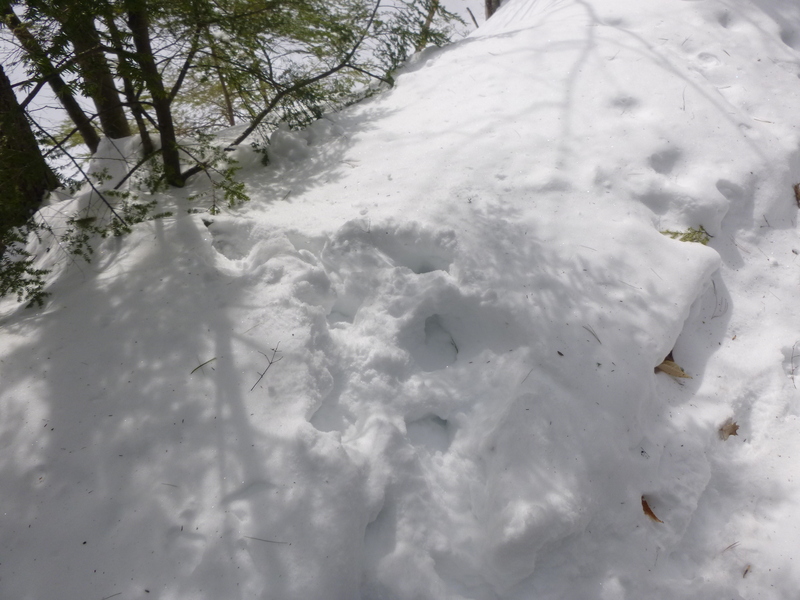 And we’ll go back out this afternoon and re-tramp the trail, and go a little further. My neighbor has a pair of ski poles for me to borrow, she assures me that they will help my stamina. 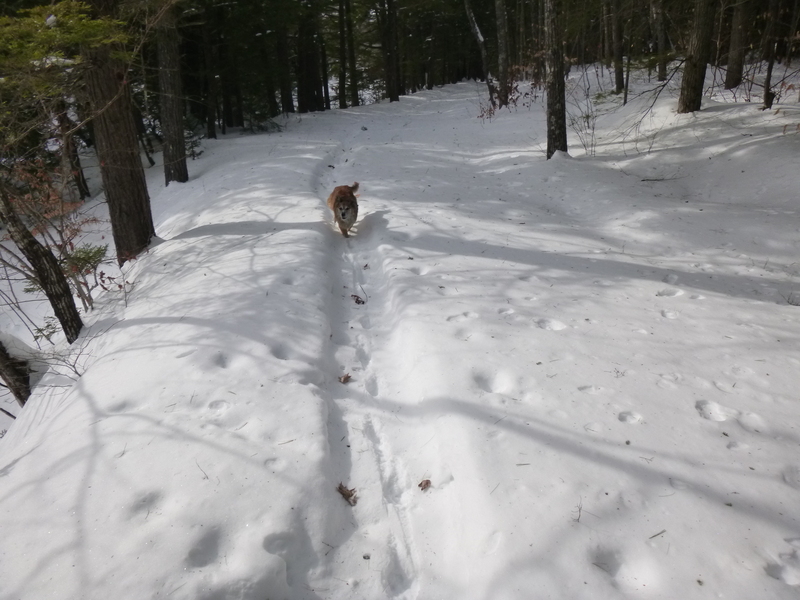 This entry was posted in Uncategorized and tagged dog in snow, snowshoe with dog, south tamworth. Bookmark the permalink. Yes, it has certainly been beautiful for all kinds of winter sports. Just got back from a snowshoe tramp; myself. Do much the same thing–go a little further every day to break more trail! !